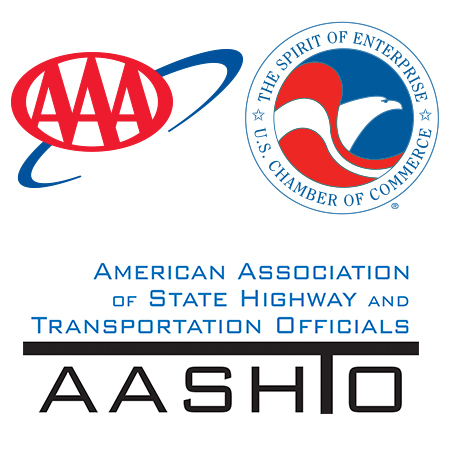 WASHINGTON – The American Association of State Highway and Transportation Officials, AAA, and the U.S. Chamber of Commerce today announced the 2014 America’s Transportation Awards competition top 10 projects. Online voting begins today, Sept. 8, and will continue through Friday, Oct. 24, at http://AmericasTransportationAwards.org. Individuals are welcome to vote up to 10 times per day for their favorite projects. California—San Francisco–Oakland Bay Bridge: California Department of Transportation’s $6.3 billion San Francisco–Oakland Bay Bridge project completely replaced a nearly 80-year-old structure with a new, modern bridge featuring advanced earthquake response technology. The bridge is also built to accommodate future expansions in light rail, bus, and other modes of transportation. Colorado—September 2013 Flood Response: Colorado Department of Transportation’s $50 million quick and efficient response to damage caused by the major September 2013 floods greatly improved the lives of state residents. CDOT coordinated with the National Guard, local leaders and residents, and private contractors to reopen the last of the closed roadways in December 2013, just 10 weeks after the catastrophic event. Florida—Mathews Bridge Impact & Emergency Repair Project: Florida DOT’s $3.8 million Mathews Bridge Impact and Emergency Repair Project required a fast and efficient fix for a major Jacksonville crossing that was struck by a naval ship. The bridge reopened for traffic 12 days ahead of schedule and only 33 days after the collision. Illinois/Missouri—Mississippi River Bridge: Illinois and Missouri DOTs joined forces to complete the $229.5 million Mississippi River Bridge Project, a project to reduce congestion and improve safety for the St. Louis crossing. The project reduced delays and congestion for the nearly 120,000 daily commuters between St. Louis City, Missouri, and St. Clair County, Illinois. The project also saved $37 million in taxpayer funds. Indiana—I-65/I-70 Split: Indiana Department of Transportation’s $12.4 million I-65/I-70 South Split Project increased safety by constructing the lower one-half mile of pavement beneath seven bridges. By reducing construction time from the typical 90 days down to 44 days, the project costs decreased from $20 million to $12.4 million, all while minimizing impacts to freight carriers and motorists. New York—I-84 Bridges Replacement over Dingle Ridge Road: The $10.2 million project by NYSDOT replaced two deficient bridges on I-84, and utilized a new construction technique that reduced the two-year construction project to only two weekends and minimized delays on this major route between New York and Connecticut. Ohio—U.S. Route 33 Nelsonville Bypass: Ohio Department of Transportation’s $200 million Nelsonville Bypass project relieved a major congestion problem for US 33 by constructing a four-lane bypass highway. Combined with other local road improvements, the project reduced travel time through the area by 30 minutes and offered a faster route through southeast Ohio. Rhode Island—Pawtucket Bridge Replacement: RIDOT Pawtucket Bridge Replacement project restored full use of an essential interstate highway by replacing a deficient bridge. The bridge replacement on Interstate 95 made the roadway safer and was completed $46 million under its $123 million budget. Texas—SH99/Grand Parkway Segment E: Texas Department of Transportation’s $320 million SH99/Grand Parkway, Segment E project represents the newest section of a planned 185-mile loop around the Houston metro region. Segment E improves system linkage within the existing transportation network and it will mitigate congestion on numerous roadway segments on the state’s “100 most congested” list. Wyoming—Togwotee Trail to Yellowstone: Wyoming Department of Transportation’s $146.2 million Togwotee Trail to Yellowstone project increased safety and mobility by upgrading a 50-year-old road on a major route leading to Yellowstone National Park and Grand Teton National Park. New shoulders, passing lanes and upgraded bridges and parking facilities allow a safer trip through some of America’s most beautiful scenery.